On Tour 19 – We Are Still Here! Well we decided to stay the extra month and we are currently half way through our second last charter. We had a very quiet period through the last half of January and all of Feb with no charters. 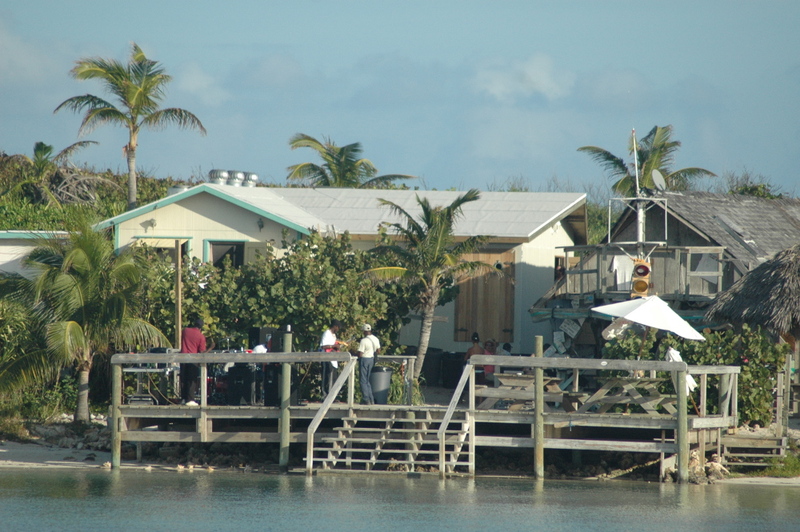 I had a short trip to Del Ray Beach to bring a 26 ft Sports Fishing boat out to The Abacos. It was kind of fun and broke the monotony of life on the rock. Unfortunately Melanie could not make the trip as the owner would not cover another air fare. The crossing was a fairly boring affair taking about 7 hours to do the 180 miles. The boat was a 26ft Regulator with two 250hp Yamahas, cruising speed about 40 knots. We made friends with a couple working on a 60 ft Gulfstar yacht that had been chartered to a company building a resort down here. It has helped break the monotony of the quiet time of the year. We have spent quite a bit of time of dock just doing our own thing, mainly lots of reading. A couple of weeks before our last charter started we went to Orlando to visit with our friends Gary and Santa. We drove over to Tampa and St Petersberg for a day. We also had a trip down to Miami and Ft Lauderdale. It was great to get of the island for a few days. We managed to get over to the Ron Jon store in Cocoa Beach and stock up on clothes which is nearly impossible to do in Marsh Harbour. Just before our last charter Gary and Santa and there kids managed to get over from Orlando and spend a couple of days on the boat with us which was a lot of fun. We had some bad news from home. My Dad (Ray) was diagnosed with a very rare form of B cell lymphoma. He is currently undergoing Chemo to be followed by Radio therapy. We are obviously hoping for a positive outcome. Our last charter we had a family with four young boys from Texas. They were a lovely group and we had a fantastic time with them. As I said we are part way through our second last charter and actually counting down the days by marking them off with pencil on the head wall. The time seems to go slower the closer it gets to the end. We will hopefully be out of here by the 4th or 5th of April. At this stage our plan is to spend a week or two in the States and then head for the UK, where we will annoy Charlesy Kate and Ben for a while. We hope to buy some sort of a campervan, something like an old diesel combi would be perfect and then spend about 3 months touring around Europe. Anyway thats the plan at this stage but it could always change.